Are you looking for a Golf GPS that will help transform your game? Maybe you are trying to decide between a handheld GPS or a golf GPS watch? 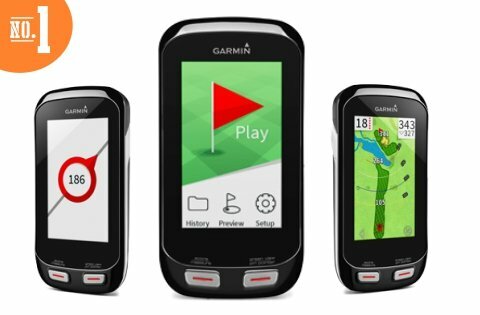 We have reviewed a selection of the newest and best Golf GPS devices in 2018 to help you decide which one is going to make the most impact on the course. If you have questions about charge time, battery life, course coverage, touchscreen & audio functions. We have comparisons & also the answers for you right here! Which is the Best Golf GPS for You? Since Garmin is a world leader in providing excellent quality GPS devices, it’s not a surprise that their Approach G8 has the premium spot for being the best handheld golf GPS rangefinder. 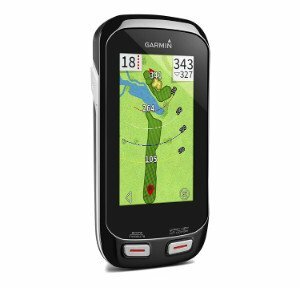 When it comes to Garmin, you should expect nothing less than top-notch functionality, superb accuracy, and the latest technologies to create a high-performing GPS rangefinder, and as expected, the Approach G8 has it all. Trying to list all of its features would take another, give or take, 500 words – yeah, it’s that cool. So, to highlight what makes it better than the rest starts with its 3 inch color touchscreen, Bluetooth and Wi-Fi connectivity, Slope Compensation, and Club Selection features. Luckily for you, it has a serious case of the “I’m-better-than-the-rest” attitude, and with confidence like that, there was no other choice than to place this bad boy at the top as the best GPS handheld rangefinder. Again, there are no additional yearly fees with this device. 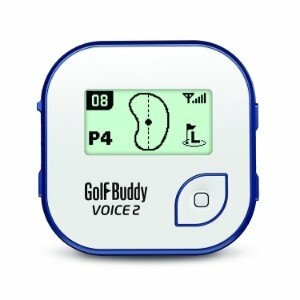 This nifty little Voice 2 GPS was the hands-down winner for being the best entry level GPS golf rangefinder. I bet you can guess why – it talks! This feature alone is what attracts its many, and I mean many, fans. 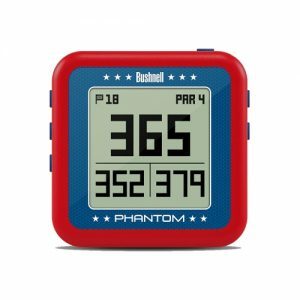 It’s certainly very easy to use with its voice readout of the distance to the hole, distances to the front/middle/back of the green, shot distance measurement, and even a green view. It has also been updated to display the front, center, and back of the green all at once on the 1″ display. It’s equipped with all the standard features you should expect from a unit, plus, it can speak in eight different languages. It’s so unobtrusive during game play that you don’t even have to look at it if you didn’t want to, thanks to the voice factor. Just press the button and listen for the readout. It also wouldn’t have won this spot if it wasn’t affordable. 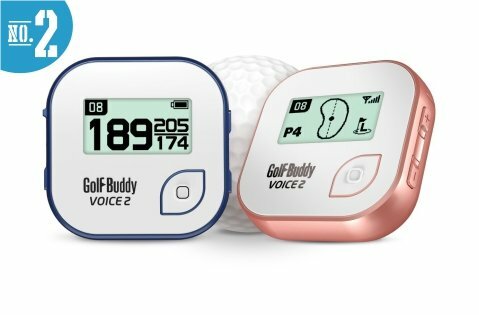 For less than $100 and no additional yearly fees, the GolfBuddy Voice is definitely a rangefinder worth trying out, it is a great device for the money. 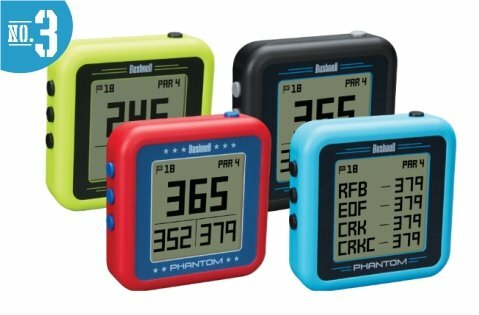 Bushnell has upped the game with the new Phantom Golf GPS handheld device. It measures and delivers. It’ll also keep your cleats clean to help you avoid the traps that includes pond scum. Most importantly, it’s a device you don’t have to dig around in your pocket for. Unlike other ordinary devices that can be clipped to your cap or belt (it can do that too), it has a bite magnet mount that can be attached to any metal surface. Think golf cart and clubs while you’re riding to the next hole. But, can it calculate for slope, track steps, or measure your shot? Do you want it to dance and sing too? It’s a simple device that punches out accurate distances to the front, back, and center of the green. What more do you need? Oh right, maybe distances to hazards. Yep, it can do that too. The Phantom is there when you want it, and it can be stashed away when you want to play pure. It’s tournament legal for comps, and it’ll give you an upper hand when you can’t read yardage markers. Stop handicapping yourself and get a Phantom. It doesn’t cost that much to improve your stroke! 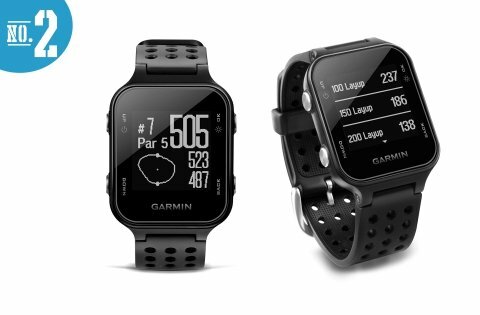 You can always bet that there’s a Garmin in the hands of a golfer on the green anywhere across the world. How can there not be when they have over 40,000+ pre-loaded courses available in a golf watch? The Approach S60 may be expensive, but it provides the best of what money can buy in the golf GPS world. Color screen with touch, slope measurements, and it’s completely waterproof. It charges in a jiffy, and you’ll be able to get two rounds in before it needs some juice. The display screen is huge with 1.2 inches of color that can even be read in full sunlight. Compatible with Quick Fit bands, you can change out colors to match your outfit, and we all know golfers like to look swank while they play! 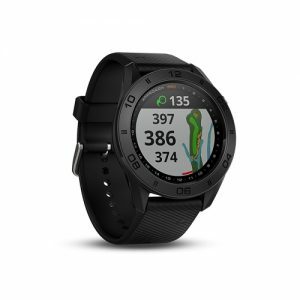 Digital, sleek, and smart – it’s your ultimate golf GPS watch that won’t fail you, it’s a Garmin. The Approach S20 has a very attractive price tag just like its square face and stylish display. 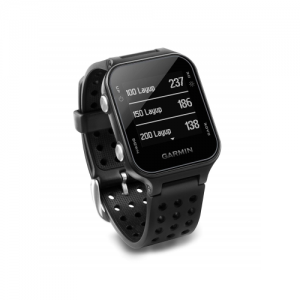 If there’s a golf watch that’ll help you break 80 and improve your handicap, it’s the S20. It won’t break the bank, and it has a ton to offer. Auto course and auto hole, compatibility with True Swing devices, and over 41,000 courses worldwide are just a few features it offers. This watch has a long battery life offering up to 15 hours of play – that’s a lot of strokes you can master in a day. 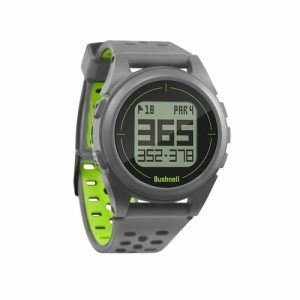 With a Green View Display, Digital Scorecard, and Smartphone Notifications available in this wearable GPS device, it’s more watch than you’ll ever need! Ah, yes. The brand that offers everything you could ever want out of a rangefinder GPS watch without the pesky additional membership fees! With just the purchase of the iON2 watch, you’ll have access to over 36,000+ courses around the globe! That’s more than 30 countries for you to indulge your golfing hobby in. It’s a tournament legal watch that you can have with you on the course at all times. If you’re worried about play time, this unit has 12 hours of battery life to get you through three games of play without batting an eye! You’ll have distances in a jiffy with Auto Course Recognition and Hole Advance features to get you set as you walk or cart the course. The easy to read front, back, and center green distances will be on display as well as hazard and layup distances – up to four per hole! 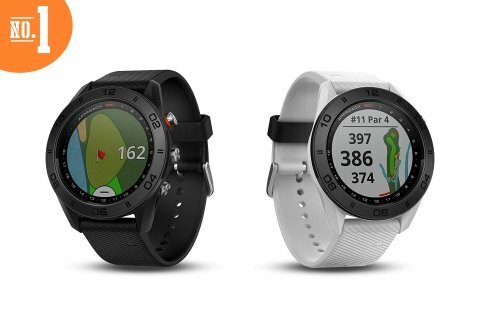 Extra features also include an integrated fitness step counter, round odometer and a shot distance calculator so you can constantly improve your strokes. 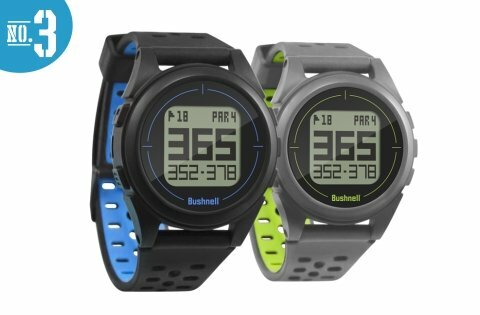 The watch is super easy to charge since Bushnell throws in the USB cable that allows you to update your watch as well. Let it sit for 3 hours while you cat-nap and grab a bite to eat. Complete with a 1-year warranty, Bushnell has you covered! Size matters… you golf players know that. And, in this sport, bigger isn’t necessarily better. With this in mind, which is the best GPS rangefinder option – a handheld device or wearable watch? The handheld GPS devices, whether it’s a touchscreen or conventional GPS unit, are small and compact in design. Even though both types of handhelds weigh barely anything up to a half pound, compared to a, pretty much, weightless watch, it’s obvious who wins the “who’s lighter” debate. But, when it comes to handhelds, it’s all in the convenience of having it when you want it and putting it away when you don’t. Handheld rangefinders are all palm size or smaller. With dimensions like these, they can be easily stowed away in the pockets of your slacks. Most of the time they also come with cases and clips that can attach to your belt or golfing bag. Some of them can even attach to the brim of your hat or the hem of your sleeve. Less frequently used are the neck lanyards that you can attach your handheld to. This isn’t a very popular option since it can interfere with your swing. But, the wearable watch isn’t immune to this issue either. Sometimes the easily pressed buttons on a bulky GPS watch can be accidentally activated when swinging or simply by any movement that involves the wrist. However, the watch is undoubtedly the easiest device to stow and pull out when you need it because it’s all available at the turn of your wrist. Its wearability factor makes it the most practical GPS rangefinder to have while on the green. But, if you’re wondering why I haven’t mentioned if there’s a difference in features between the two, it’s because there really isn’t any. Although it may seem like the handhelds would have a lot more features, you’d be surprised to know that GPS watches have come a long way from their basic functioning days, even improving since 2016. They’re now just as competitive as handhelds, including the touchscreen factor too. G.P.S devices are increasing in popularity in the golf industry and more innovative as technology evolves. You will need to ask yourself if you prefer a watch, touchscreen, or audio capable device. They tend to be cheaper than a laser rangefinder with more jam-packed features too. This may be the convincing nudge you’re looking for when trying to decide between the two. These features are all discussed in detail in each of our reviews so click through to the device you are interested in to find out more. I do have to mention that a qualifying factor to determine which were the best GPS rangefinders for our reviews was if there were any annual or membership fees involved. Since paying additional fees isn’t necessarily popular among most consumers, probably like yourself, it acted as a detriment. If there were fees involved, course coverage and availability as well as overall functionality was taken into consideration. To have to pay more each year, you should expect the absolute best. So, did any of these GPS devices with additional fees make the cut? Nope! All of the GPS devices listed here have no membership or annual fees! Deciding which portable G.P.S device is best for you is influenced by many factors. Do you want a device that is touchscreen? Would you prefer a watch or a handheld device? Is being able to obtain audio distance readouts important to you? Because each of these features are a matter of individual preference, I can’t tell you which you need to take your game to the next level. What I can do is point you in the direction of top-rated golf G.P.S devices in a variety of categories that will fit your budget. If you are new to golf, or to the possibility of using a G.P.S device to enhance your game, you just need a device that is going to give you the basic features to help you get the distance to the hole. If you are looking for a device with a few more features, you may be looking for a mid-range G.P.S. A mid-level G.P.S device would offer more distances to hazards and maybe even a manual pin placement feature so that you could input distances yourself. And finally, if you want the best-of-the-best regardless of price, you will be looking at one of the best rated G.P.S devices – those in position one in the tables above. There is a G.P.S device for everybody, it is just a matter of deciding what is important to you, what you are willing to spend – and then going for it! The satisfaction of knowing the distance every time and taking your game to the next level will be worth the investment.